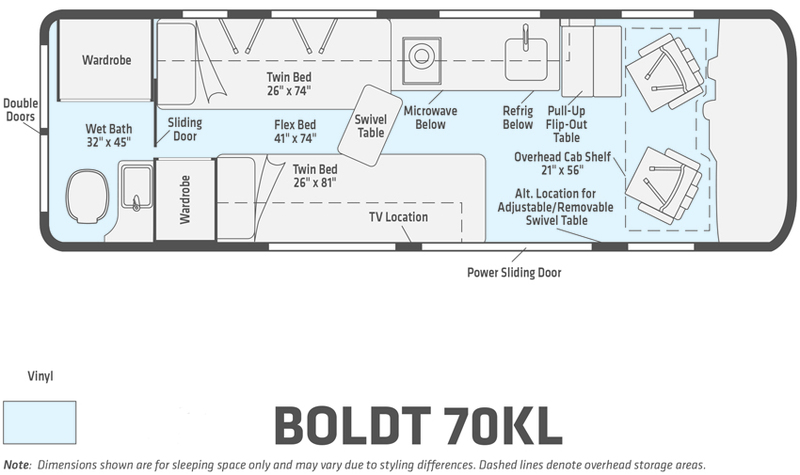 Introducing the comfortable and innovative class B diesel motorhome the Boldt by Winnebago! Built on a Mercedes-Benz sprinter chassis with the exclusive Pure3 Advanced Energy Management system allowing you to charge on the go while staying connected, and provides a quiet and nimble vehicle for traveling all through the year! Each model includes Ram Touch-Track mounts throughout the Boldt providing flexibility with traveling accessories, power-adjustable, heated and swivel cab seats providing a comfortable ride, extensive 4-season insulation allowing for all-weather traveling, Corian solid surface countertops, and a wet bath to stay refreshed for any adventure. 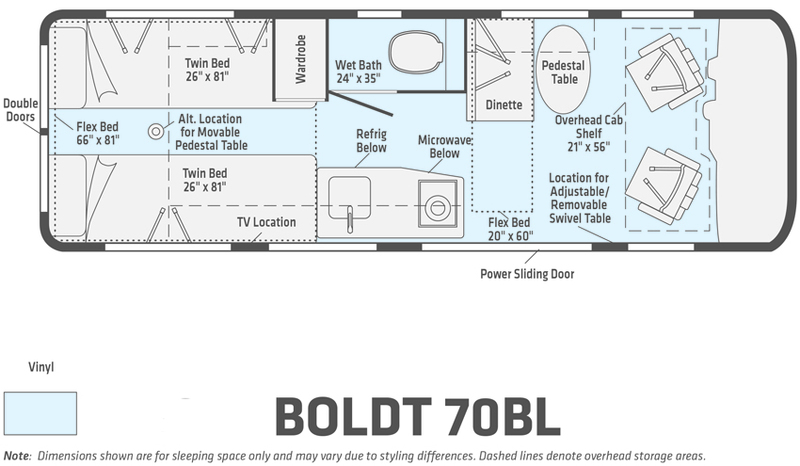 Choose your favorite Boldt class B diesel motorhome by Winnebago today!